The house was built at the turn of the 20th century by the Hannigs, who were called “from under lime” because of the lime that grew in front of their house in Bielendorf, i.e. current Bielice. 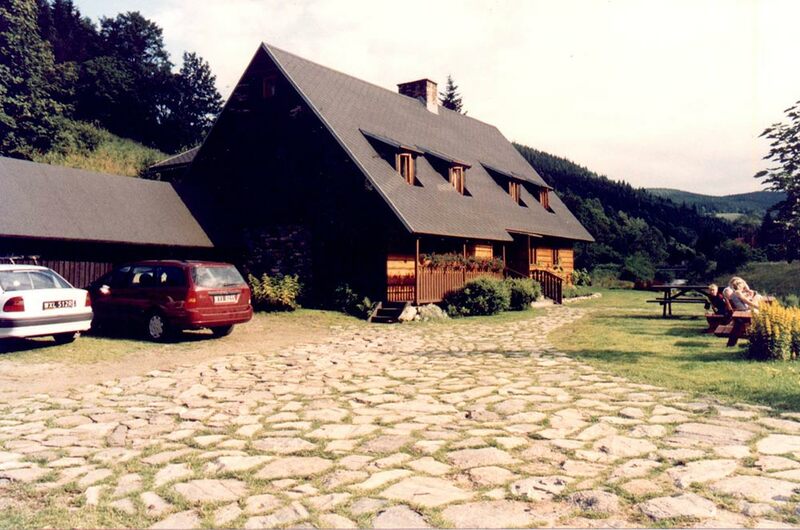 The building was typical for the region of the Sudetes land: a wooden hut constructed of wooden beams and stones. The cottage with a pitched roof was set parallel to the river. The entrance was from the West. To the East of the building there was a steep slope, which was cultivated by the Hannigs. A bridge with stone abutments and steel joists connected the main road, which ran across the river, and the farmstead. The bridge was built in 1915. 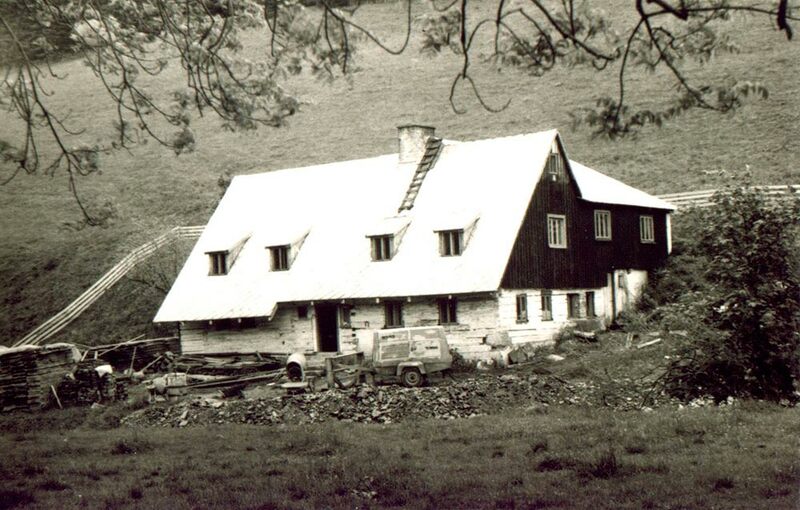 The hosts were not very well off, therefore while building the house they used a lower quality wood, fieldstones and crushed stone quarried from their own quarry that was located forty meters away. People lived in the wooden part of the building and animals stayed in the part that was constructed from stones bonded with lime mortar, where sandstone feeding troughs and wooden feed hoppers for livestock were situated along the walls. A significant part of the floor and the attic were intended for the storage of hay and grain. In that way the building had an insulated roof during the wintertime. In the 1930s the house was expanded with a perpendicular wing, which was supposed to be used by summer visitors. In that way two rooms for animals on the ground floor and two additional bedrooms on the first floor were added. The added wing extended deeply to the mountainside. Hence the new rooms on the first floor were partially carved into the rock. After extension the building had two rooms for vacationers on the first floor. The hosts lived on the ground floor: the parents slept in alcove and the five children slept in the kitchen. Across the hall with a bread oven there was an animal housing. 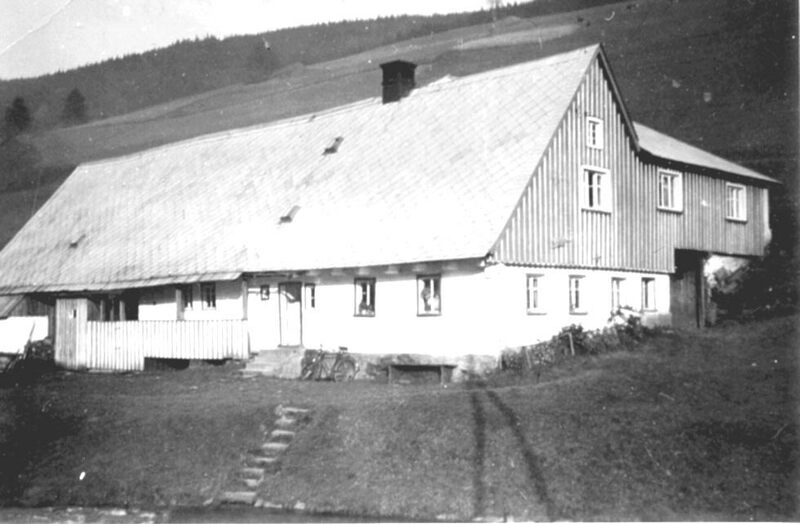 Because the mountain climate was cold and raw and it was raining and snowing the whole year round, the basic principle of building a farm was to accommodate everything “under one roof”. Therefore, passageways between particular parts of the holding lead either inside the building or to the roof that protrudes outwards. The current old part of the house constitutes the original century-old building with the preserved spatial layout, exterior and many structural elements. The current common room is a former kitchen, and the tourist kitchen is a former alcove room. The stone hall is a former cowshed and the current ski room is a former passageway from the building to the barn. Current hosts maintain contact with the children of the pre-war owners of the house. The photo gallery presented in the dining room is dedicated to the memory of the Hannigs family. 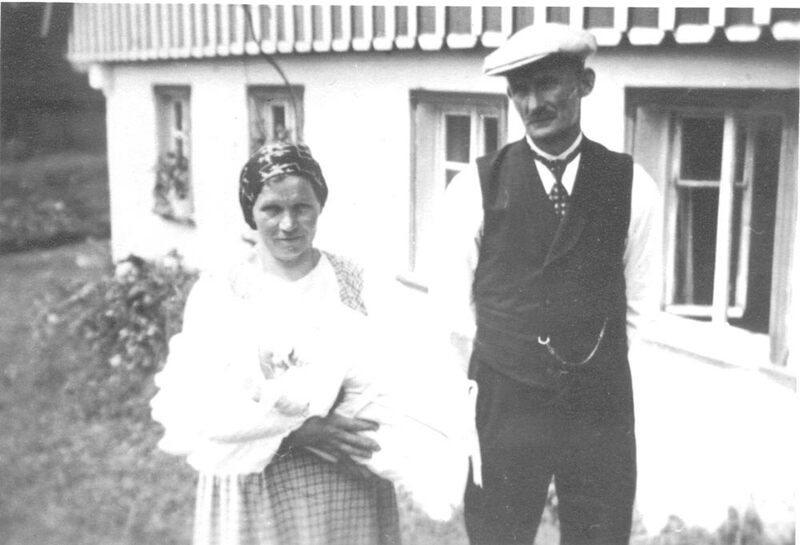 In 1946 the inhabitants of Bielendorf were deported to Germany and Bielice, primarily called Biel, were populated by the Polish settlers. 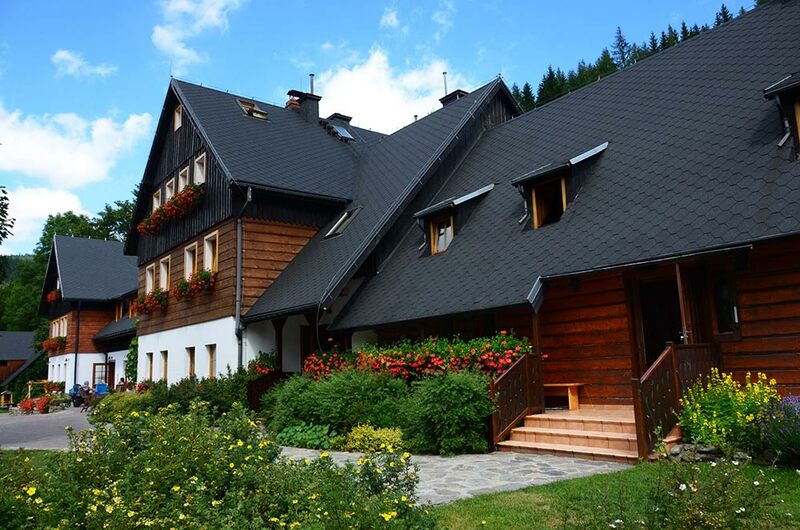 The house owners were constantly changing till 1976, when students from the Institute of Technical Cybernetics at the Technical University of Wroclaw discovered the cottage. 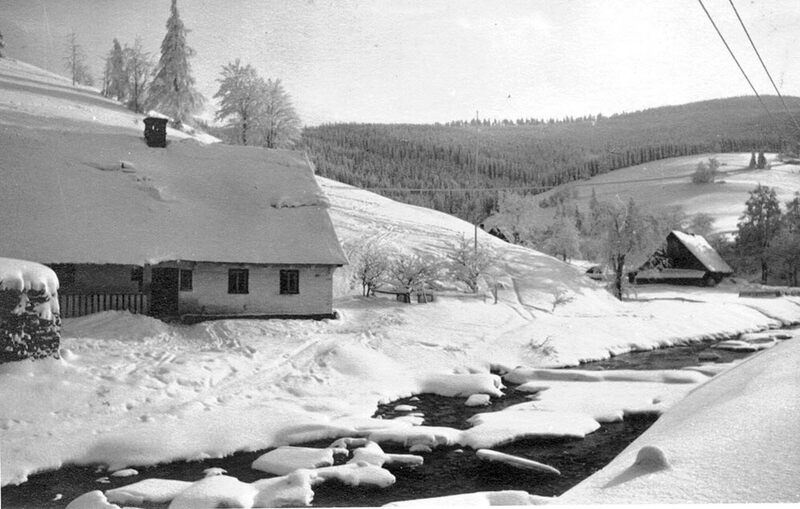 The house was acquired by the Students’ Travel and Tourism Agency “Almatur” and thus became a students’ hut, that is a base camp for trips to the Bialskie and Zlote Mountains, for the subsequent generations of the academic environment of Wroclaw. 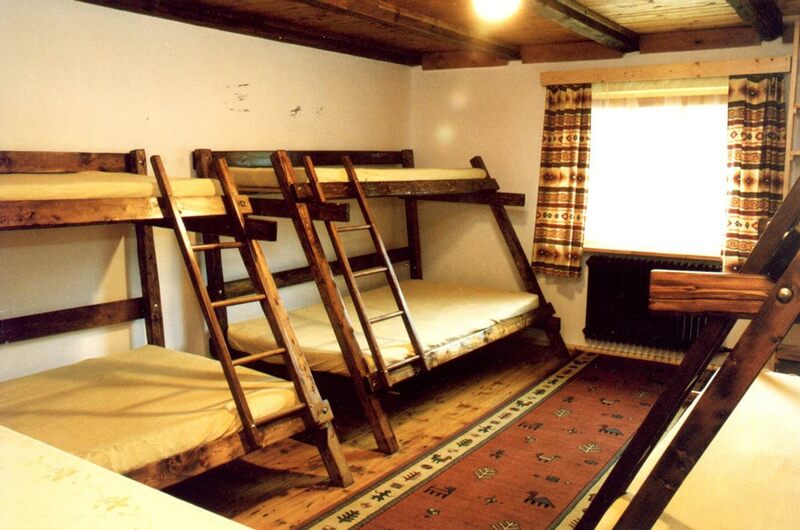 Visitors slept in bunks, on mattresses on the floor or in sleeping bags. The stream running by the house served as a bathroom. The current name Cyborg’s Cottage has already an over 30 years old tradition, as students of cybernetics named the house after the first human-shaped robot and protagonist of many science fiction novels from 1970s. The current owners, i.e. 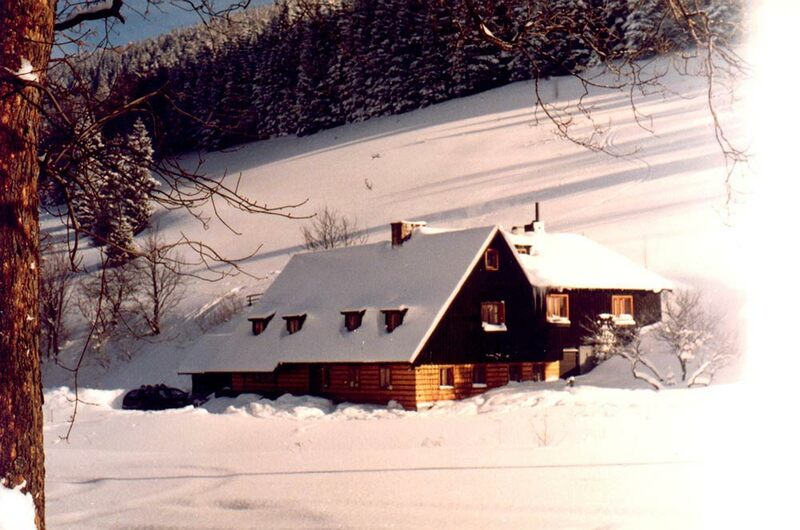 Jola and Janusz Lignarscy bought the house in 1990. For the first ten years it was a typical tourist hostel with dorm rooms, bunk beds, shared bathrooms and self-catering kitchen. At that time the house was also renovated and given its present appearance. 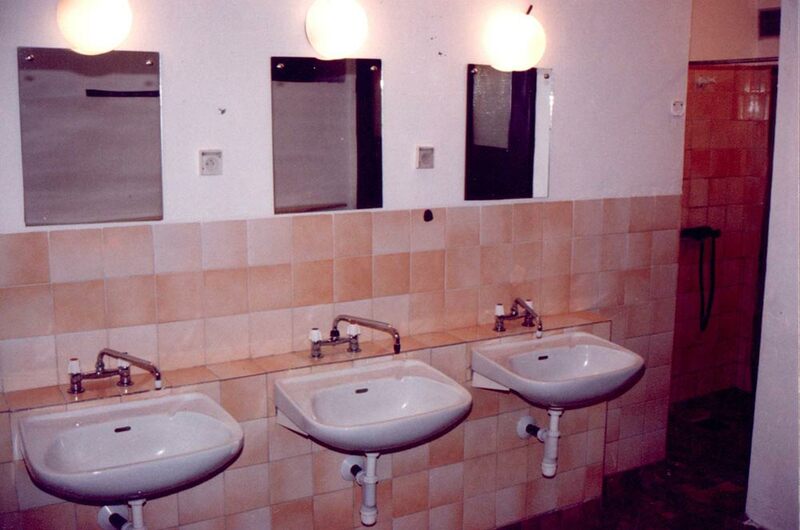 In the period 2002-2004 the cottage was significantly expanded, which resulted in getting twelve rooms with private bathrooms and a dining room with catering facilities. Architecture of the new part of the cottage resembles local historical building tradition that fits into the century-old original part of the house, which ceased to serve as a tourist hostel due to subsequent renovations. Nevertheless, the old part still preserves its traditional look.